Portland, ME – Donald R. Beeler, 84, of Portland died peacefully on Thursday, July 5, 2018 at Mercy Hospital. He was the husband of Beverly A. (Skillin) Beeler. He was born on July 3, 1934 in Portland, ME a son of the late Walter C. and Mabel E. (Roberge) Beeler. He grew up in Portland, attending local area schools. Don worked for over twenty years for Knowlton Machine Company, retiring in 2002. He also served in the National Guard in South Portland for eight years. Don enjoyed many outdoor activities as long as he was surrounded by family and friends. Besides his wife of sixty-two years, he is survived by his children Ann Wilmot and her husband Gary and Dawn Beeler both of Portland, Kathleen Crawford and her husband Scott of Westbrook and Nancy Beeler and her partner Dan Boissonneault of Portland. He also leaves five grandchildren, many great grandchildren and several nieces and nephews. 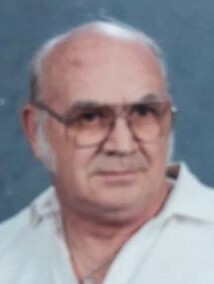 He was also the father of the late Eric John Beeler, grandfather of the late Daniel Sangillo, brother of the late Charles C. Beeler, the late Louise Blanchard and the late Anna Stevens. Relatives and friends are invited to attend a Graveside Service on Friday, July 13, 2018 at 10 a.m. at Forest City Cemetery, 232 Lincoln Street, South Portland, ME.